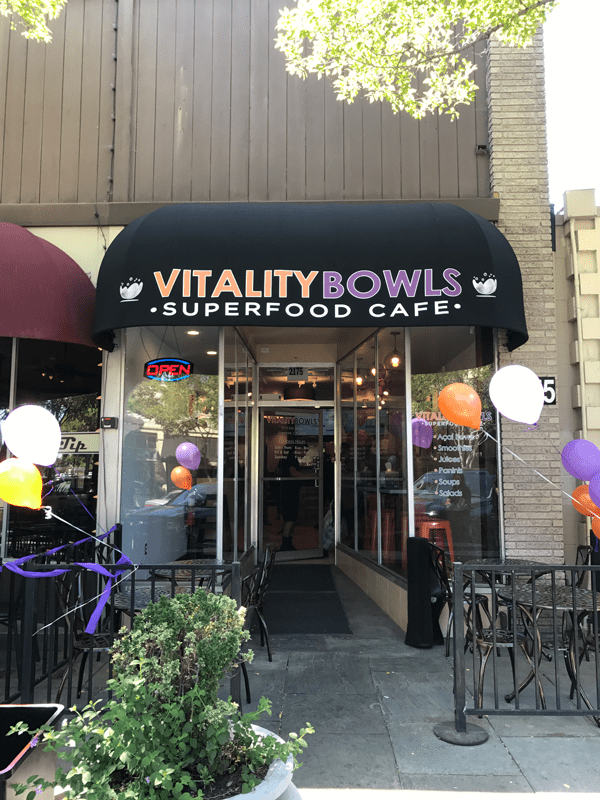 Vitality Bowls Livermore opened in May 2017 in the downtown area at 2175 First Street. 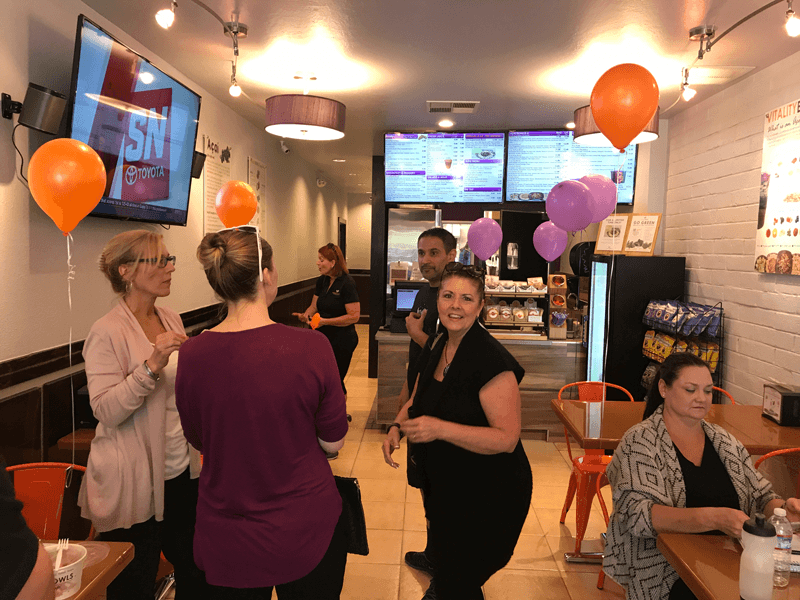 Livermore is a suburban community in Alameda County known for its vibrant downtown and beautiful wineries. Local residents love stopping by Vitality Bowls for a signature acai bowl, smoothie, Panini, salad or fresh juice. 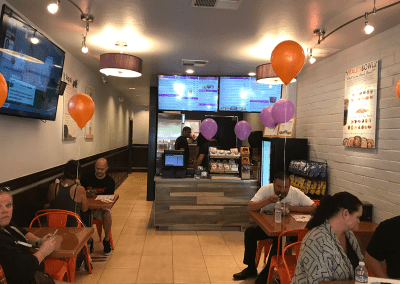 The location also offers organic kombucha and cold brew coffee on tap and frequently caters to local businesses. 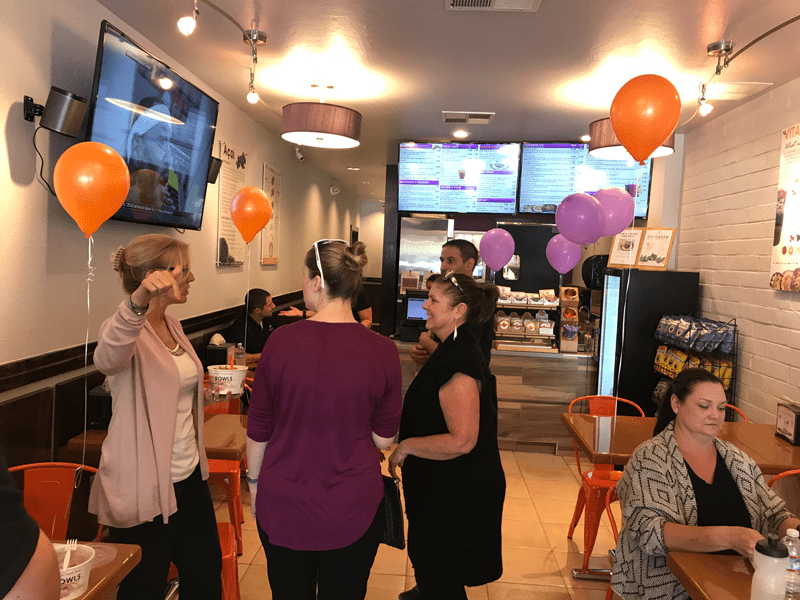 Owner Debra Ochoa, who also owns Vitality Bowls Castro Valley, spent years in management prior to opening the restaurant. 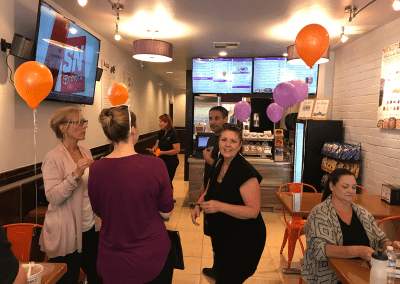 “Finally Downtown Livermore has a Delicious healthy option! Catering to allergies and special diets but still appealing to kids and adults alike this place is a perfect choice for families. 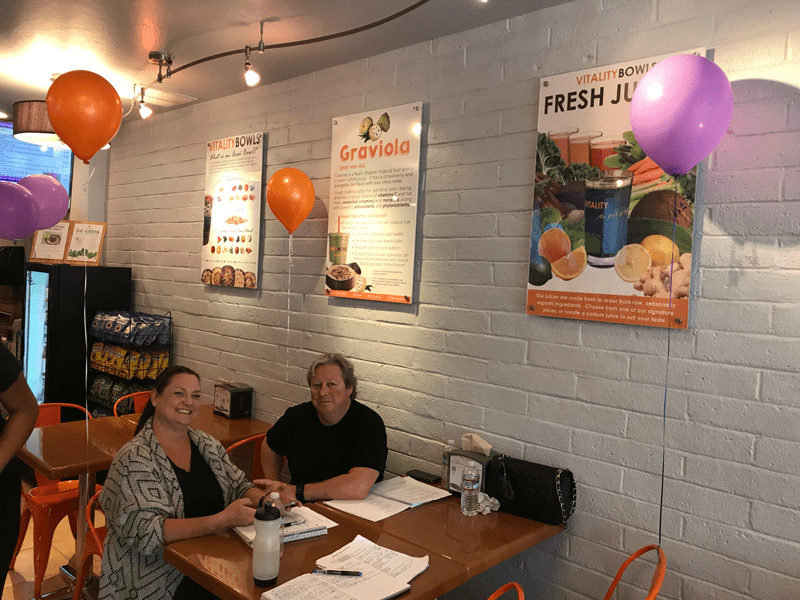 For my husband and I, this will be a primary destination after a workout at the gym or a hot evening when we want something to cool down. 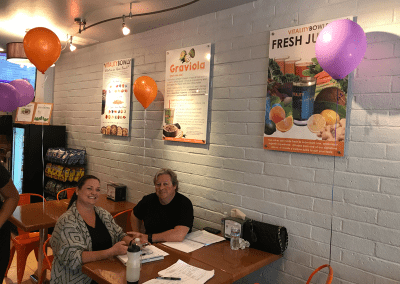 Their specialty is the Acai bowls (think of a smoothie made with Acai, fruits and veggies topped with organic granola, nuts and other goodies) but they also have a fresh juice bar, salads, paninis and Kombucha on tap coming soon! “I got the Dragon bowl. It’s base is made with Pitaya that gives it a beautiful Fuschia pink color and comes topped with granola, kiwi, strawberries and bee pollen along with other goodies. 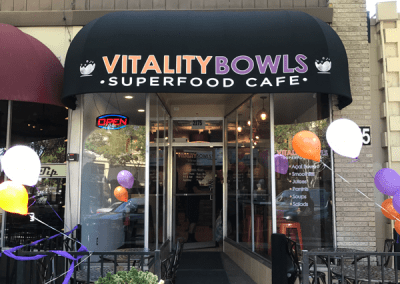 My husband indulged in their nutty bowl which is perfect for peanut butter lovers. It’s base includes almond milk and peanut butter that is topped with bananas, granola, almonds and more peanut butter. Perfect protein mashup for a post workout nourishment.